Sometimes we get caught up planning out our next epic adventure to exotic lands and far-off cultures, driven, in part, by eating extraordinary cuisine, meeting those that call the corners of earth home and seeing sites one has only heard about. This idea of exploration reaches out its age-old fingers to pull in even the most seasoned travelers. It is less often, however, that our very own backyard becomes the vision of these dreams. On March 1, 1872, U.S. president Ulysses S. Grant signed the Act of Dedication, turning the boiling mud, deep canyons and explosive geysers of Wyoming into the world’s first National Park — a little place you might know as Yellowstone. Since then, America’s National Park System has blossomed to include 58 unique and equally awe-inspiring parks and has been the blueprint for preserving lands the world over. There is a very reliable statistic floating around somewhere that says something like 438% of the visitors to these parks venture less than 4 inches from the metal wombs they arrived in. (Okay, maybe not, but you get what I mean.) Thus, they only scratch the surface of what these irreplaceable treasures offer: mountaineering North America’s tallest peak, shooting the rapids in the “grandest” of red-rocked canyons or simply gaining inspiration on banks of a water-filled volcanic caldera. Recently, I opened my wobbly curbside mailbox. Ivory doves emerged as a lone spear of sunshine illuminated the title of the book I now hold. 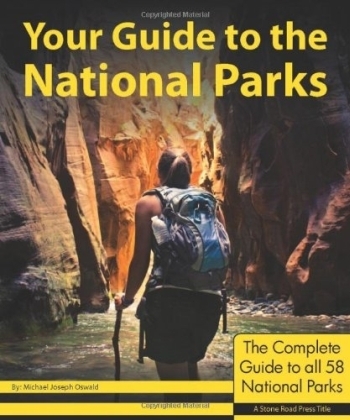 In my hands was the key to comprehensive engagement with the entire National Park System: Your Guide to the National Parks: The complete guide to all 58 National Parks. I haven’t put it down since. 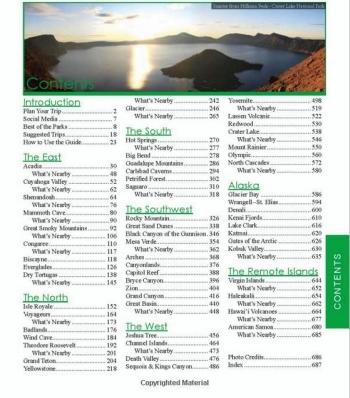 I have yet to read a more comprehensive and detailed compilation done on the National Parks. Perhaps there are too many parks, with too much to do, and too much to say about each. Mind you, there needs to be a pretty high degree of awesomeness for a place to rise into the National Park ranks. Maybe the void of guides to all the parks is due to a lack of people brave enough to dive into a project of this magnitude. The speculation can end thanks to Michael J. Oswald. I was lucky enough to track down Michael before leaving on his cross-country book tour from the driver’s seat of a (recently) broken-down school bus to ask him a few questions. He shared his insights on making the transition from traveler to travel writer, where everyone should eat lunch and his take on Snuggies. The Expeditioner: This is your first guide book. What possessed you to create a 704-page publication on every one of the National Parks? You didn’t want to tackle anything a little less, um, massive? MJO: A magician never reveals his tricks. The doves are my little secret, but I’m happy to reveal all the secrets of Your Guide to the National Parks (YGNP). The pithy response is that brevity isn’t exactly my thing. With that said, only a hypocrite would leave it at that. The real genesis of YGNP came from a long line of exceptionally poor, or at the very least, rash decisions. In the span of about a year, I left my job as an electrical engineer in search of a more emotionally rewarding lifestyle. So long cubicle with Western-style saloon doors, 9-5, paychecks, benefits and pension plan. I set off to explore the parks in February 2009. I ventured into the park system once before, which stirred something inside me that has always existed. I began to think there could be something more significant between the park system and me beyond that two-week fling. Sleepless nights. Forgetting to eat. Six-hour phone calls repeating, “I love you more. No, I love YOU more.” All the signs were there: solitude, majesty, peace and adventure. It struck a chord with my soul. I felt at home. I fell in love. Naturally, I was compelled to share these feelings with others. Forty-eight parks, 50,000 miles in my trusty VW, countless hours in front of a computer screen and you’ve got YGNP. It’s roughly four years of my life in 704 pages. The Expeditioner: For those fellow travelers attempting to follow their own dreams of getting published, can you take us through the process? 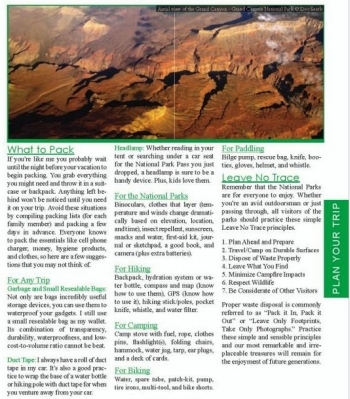 From concept to publication; traveler to guidebook publisher? MJO: I’ve learned a ton during this project. The concept is simple. I was very familiar with many of the already published guides on the parks, but each left me wanting more — none seemed to quench my curiosity nor are truly comprehensive. In fact, they typically aren’t particularly good beyond the motor tourist type. But, when I picked up James Kaiser’s Acadia, The Complete Guide, I found my inspiration. Research was the fun part. My car (50,000+ miles), bikes (thousands of miles), kayak (hundreds of miles) and legs (more than 1,000 miles) received extensive use. On average, I’d say I spent about one week in each of the 48 parks I visited (the other 10 were bypassed due to small visitation rates, high cost to visit, or a combination of both), and some parks received much longer stays than others. Reality dictates that Congaree National Park in South Carolina doesn’t require as much time as, say, Grand Canyon. Those larger parks like Yosemite, Yellowstone and Grand Canyon, I visited during each season to understand the differences in visitation and activities available throughout the year. It was a long, fairly well thought-out process, and I loved every minute of it. After I wrote and designed the first section on Acadia National Park, I stuffed the draft in my panniers and set off on a 10-day bicycle and backpacking trip around Lake Michigan and Isle Royale National Park. I found myself analyzing the template each night in my tent. By the time I was heading back to my hometown of Manitowoc, Wisconsin (sailing across Lake Michigan on the S.S. Badger car ferry), I had my design locked in and was ready to move forward with the rest of the parks. After something ridiculous like 10,000 hours in front of my computer, I took my hands off the keyboard and mouse and called it a book. Then I tackled the printing and distribution side — a bit of leg work. The printing turned out great. However, distribution was a harder nut to crack. There needs to be a significant amount of trust between the publisher and the distribution. All the large independent distributors want publishing houses that produce at least five books each year, and that’s simply not me. At the end of a fairly extensive search, I signed a two-year contract with Cardinal Publisher’s Group in Indianapolis — no small feat as I have a terrible time signing a cell phone contract. The last step was to begin implementing the marketing portion of my business plan. Which, well, here we are. The Expeditioner: And doing pretty well at it, too. Now that you’re officially an author, what are you most proud of? What are some reactions you’ve see about the book? MJO: The initial reception of my work almost always takes one of two forms of disbelief. I either get, “WOW!” or “Oh my God, this is incredible!”, to the other side of the spectrum with a comment such as, “There’s no way you did this on your own.” Both are equally flattering. One of the most satisfying reactions came during pre-press. Many of the pressmen and cover folks wanted to page through it long before ink touched paper. That was a pretty good feeling. I have to say that I felt the most pride when I first saw my work on a bookshelf. However, I think the pinnacle of proudness will be when I see dog-eared copies of YGNP start showing up on peoples’ dashboards and coffee tables. The Expeditioner: That won’t take long. Actually, there’s already a dog-eared copy sitting on my coffee table. When I paged through the book, one of the more impressive aspects is not just the breadth of information, but its depth. You’ve got top sights, sample itineraries, history, weather trends, maps, fun facts — it’s pretty incredible. What is your reaction to those that say, “There’s no way you did this on your own!”? MJO: Copy and pasting! Ha! No, simply put, it was a lot of work. I spent nearly two years sleeping mostly in my car and tent, traveling from park-to-park, scribbling my thoughts into journals and collecting testimonials from park rangers and tourists. After the “research” phase, I took a seat at my computer and barely left that chair for the next two years. Looking back at it now, it sounds completely insane. I literally spent all day, every day for two years sitting at my computer plodding along on this incredibly ambitious project. I think I just convinced myself I really am nuts. The Expeditioner: I have to ask about the backward spine? Did you plan that? F-up? Marketing genius? MJO: You don’t have to ask. I’d like to think of it as a Steve Jobs-ian marketing move on my part. Kids across the globe aren’t going to feel cool unless they’re toting a book with spine text that’s 180-degrees from the norm! So, when that catches on, you’ll have me to thank. My goal was to destroy all the unflattering stereotypes surrounding work of self-published authors. I still think that goal was reached, but it’s disappointing to screw up something as obviously visible as the spine text. The fact of the matter is that it’s one of those oversights and a major bummer. (My editor, Derek, took it harder than I did, even flipping the book upside-down on his bookshelf so it looked right.) The good thing is that it doesn’t ruin the experience at all. Let’s just laugh and say it makes the book stand out on bookshelves a little bit, but it will get fixed for the next print run. The Expeditioner: The Stone Road Press marketing strategy: flip the spine — brilliant. Let’s get to some top spots. 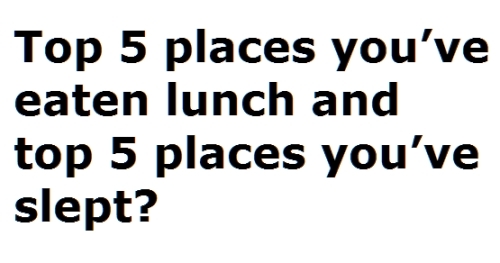 Top 5 places you’ve eaten lunch and top 5 places you’ve slept? 1) I love any lunch in the backcountry, but they’re mostly uneventful and alone. So any backcountry spot would be my #1. Beyond that, let’s see . . .
2) Grinnell Glacier (Glacier National Park): Glacier National Park is a lunch paradise, really. 3) Power Tower Island (North Cascades National Park): It’s a short paddle to this island inhabited by friendly deer. 4) Zion Narrows (Zion National Park): I’m not sure what mile I dined at, exactly, but I do remember freezing the entire hike through the Virgin River much of the way. Around noon, the sun crept above the canyon, slowly warming us as we ate our lunches. It was simply amazing. 5) Wild Cave Tour (Mammoth Cave National Park): After hours of crawling through narrow passages, we reached the “cafeteria” — dirty and sore — where we enjoyed a small lunch before returning to the depths of the cave. And where I’ve slept . . .
1) In the Great Smoky Mountains with friends: Wandering — even in the midst of so much natural beauty — can get lonely on your own. The three of us spent the evening in a hot tub enjoying brews while discussing the region and life. 2) The rim of Crater Lake (Crater Lake National Park): In winter, snowshoes or cross-country skis unlock one of the best vistas in the country to campers who don’t mind spending the night in the cold. 3) In a rental jeep (outside Haleakala National Park): This was my first time sleeping in a car — a skill I’ve since perfected. That move saved enough money to travel the other islands bump it into this list. 4) Lane Cove (Isle Royale National Park): Lying in a hammock as the sun set across Lake Superior . . . enough said. 5) A Burger King in London, England. Long story . . . The Expeditioner: I won’t ask. Let’s get serious here for a second, would you agree that besides the Snuggie, the National Park System is one of the greatest things America has given the world? MJO: Most definitely. An image of a person sporting a Snuggie on top of Yosemite’s Half Dome would be enough to make any country envious. The Expeditioner: So what’s next? I heard something about a school bus tour? MJO: Yup! I’ve purchased an old school bus, which will be transformed into the Stone Road Press Tour Bus. Any artists wanting to help out with the exterior are welcome to have their way with it. But that’s just part of the marketing plan. I mailed out copies of my book to all the Flickr contributors, celebrity types, book review outlets, bloggers, and I have have also engaged several local media markets. I’m getting excited about the tour. I’ll be updating all the book’s media outlets as I start piecing more plans together. Those include: The Stone Road Press website, Facebook page and Twitter feed (@stoneroadpress). YGNP is presently available online at Amazon and Barnes & Noble. E-books are available at Amazon, Barnes & Noble, Kobo and coming soon to a few more outlets. The school bus just completed an extended stay at a mechanic to get “road-trip ready,” and I asked, “How many books is it going to cost me?” He wasn’t having it, but the goal right now is to at least break even, keeping me afloat until I can get my next title ready. Who knows if it will work? I’m hoping to at least cover any additional mechanical work.